Warranty is 12 - 24 months (dependent upon manufacturer) back-to-base official Australian warranty (Refurbished products excepted - 6 months). We do not Grey Import any of our products. We begin processing your order as soon as it is placed, once your order progresses it may be too late to cancel. Note: there is one tiny white spot in the front glass see the third photo. I did not see any issue on the photos I took with this lens. E 35mm F1.8 OSS E-mount Lens SEL35F18. It is a compact, fixed focal length lens which is equivalent to 52.5mm in 35mm equivalency. Front Lens Cap. Rear Lens Cap. Sony (E Mount for NEX). Improved optics have reduced spherical aberration and provide uniform contrast across the sensor and sharp images even when shooting wide-open at f/1.8 aperture. Sony 50mm f/1.8 A Mount Lens SAL50F18SAM. The Sony E-mount 35mm f/1.8 OSS lens is a compact, fixed focal length lens which is equivalent to 52.5mm in 35mm equivalency. If you want the hottest price on Sony’s E-mount 35mm f/1.8 OSS lens, look no further than digiDIRECT. A Super Multi-Layer Coating also enhances image quality by suppressing lens flare and ghosting for improved contrast and color fidelity in strong lighting conditions. Sigma 70mm f/2.8 DG Macro Art Lens for Sony E.
(SEL20F28). Its 35mm focal length equivalent is 30mm which classifies it as a wide-angle lens with multiple applications. A smooth, quiet internal stepping motor is used for both focus drive and aperture actuation and makes this lens ideal for shooting video. Linear Autofocus Motor; Internal Focus. 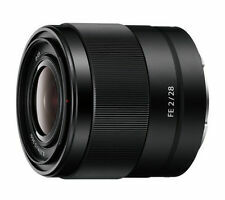 Sony FE 28-70mm f/3.5-5.6 OSS Lens. Built-in Optical Steady-Shot image stabilisation within the lens provides smooth, blur-free photos and videos when shooting handheld. (Sony SEL2470Z). Check out the Sony Vario-Tessar T FE 24-70mm F4 ZA OSS Lens's Key Features. 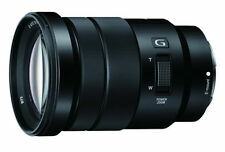 Sony Vario-Tessar T FE 24-70mm F4 ZA OSS Lens. Constant F4 maximum aperture throughout zoom range. In addition to consistently superior image quality at all focal lengths it provides a versatile zoom range in a compact lens that can bring out the very best in 7 series bodies for a wide range of subjects. It is equipped with a rear focus system that minimized fluctuation of aberration caused by focusing and the Super Multi Layer Coating reduces flare and ghosting even in backlight photography. HSM (Hyper Sonic Motor) ensures quiet and high speed autofocus capability and the round 9 blade diaphragm creates pleasant out-of-focus highlights. Fast, tenacious autofocus. Check out the Sony FE 100-400mm F4.5-5.6 GM OSS Lens's Key Features. The result is exceptionally clear, well-defined images. (Sony SEL100400GM). Genuine Australian Sony Warranty. Bulk Pack / White Box Product Highlights E-Mount Lens/Full-Frame Format Aperture Range: f/3.5-5.6 to f/22-36 One ED & Three Aspherical Elements Linear Autofocus Motor; Internal Focus Optical SteadyShot Image Stabilization Dust and Moisture-Resistant Construction Seven-Blade Circular Diaphragm . Sony FE 100mm F2.8 STF GM OSS Full Frame Lens in Mint Condition with Box. Like Brand new only used once Box was kept in storage so got some wear but Lens is in Brand new Condition. Will come with Box, Hood and soft case. No dust, mark or scratch Cash on pickup available from Sydney CBD. Will post anuwhere in Aus No International buyers. (Sony SEL2870). The popular 28–70mm zoom range covers a variety of uses, from landscapes to portraits and snaphots. Check out the Sony FE 28-70mm F3.5-5.6 OSS Zoom Lens's Key Features. 28-70mm zoom range and F3.5–5.6 aperture. 50mm f/1.4 DG HSM Art Lens for Sony E Mount. Front Lens Cap. Rear Lens Cap. TSC Material, Brass Bayonet Mount. Our warranty covers labour costs for repairing the faulty unit. Maximum: f/1.4. 1.79 lb / 815 g.
Model AF 50 1.4 FE. Brighten Your Sight. Maximum Magnification Ratio 0.15x. Mount Sony E. Warranty is 12 - 24 months (dependent upon manufacturer) back-to-base official Australian warranty (Refurbished products excepted - 6 months). 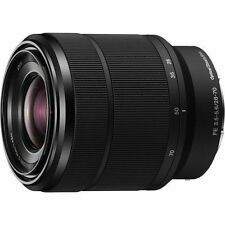 SONY Vario-Tessar T FE 24-70mm F4 ZA OSS 1 x SONY Vario-Tessar T FE 24-70mm F4 ZA OSS. SONY Vario-Tessar T FE 24-70mm F4 ZA OSS. SONY Vario-Tessar T FE 24-70mm F4 ZA OSS Cleaning Kit. 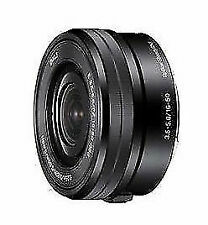 ���SONY Vario-Tessar T FE 24-70mm F4 ZA OSS. Aperture Range F3.5-5.6. Maximum Magnification ratio 0.19. WHAT'S IN THE BOX?. Filter Size 55mm. Actual product may not be exactly as shown. Any product that has had its serial number altered, defaced or removed.Any defect that is discovered/reported after the expiration of the Warranty Period. Planar T FE 50mm F1.4 ZA. Refurbished: This item is manufacturer refurbished, has been professionally tested and approved by Sony. Great news! Our policy is simple We do not allow for change of mind. The 100mm to 400mm zoom range is ideal for sports, wildlife, and similar subjects, with image quality and AF performance that support professional working needs. Precision G Master optics ensure consistently high corner-to-corner resolution at any focusing distance throughout the lens’s zoom range. Seven-blade circular diaphragm provides a smooth out-of-focus quality that is well-suited to shallow depth of field imagery. Optical SteadyShot Image Stabilization. Image Stabilization. 11.81" (30 cm). Product Highlights E-Mount Lens/APS-C Format 27-157.5mm (35mm Equivalent) Aperture Range: f/4 to f/22 Two ED & Three Aspherical Elements Optical SteadyShot Image Stabilization Power Zoom Lever; Handycam Technology Internal Focus Minimum Focus Distance: 1.5' Seven-Blade Circular Diaphragm . Model Number: SEL2870. (Sony SEL2870). The popular 28–70mm zoom range covers a variety of uses, from landscapes to portraits and snaphots. Check out the Sony FE 28-70mm F3.5-5.6 OSS Zoom Lens's Key Features. Sigma Art 60mm f 2.8 in excellent condition Comes with the box, hood, cap and cover. (Sony SEL85F14GM). Check out the Sony FE 85mm F1.4 GM Lens's Key Features. Bright F1.4 maximum aperture. Sony FE 85mm F1.4 GM Lens. Then gradual, gorgeous bokeh dissolves the background into an artistic backdrop with natural colouration and highlights. Autofocus Yes. - Compatible with Sigma USB Dock. Lens mount Canon, Nikon, Sigma, Sony. Lens Hood Sigma Petal Type. Lens type Zoom lens. Length 109.2 mm. Filter Thread 82 mm. Warranty is 12 - 24 months (dependent upon manufacturer) back-to-base official Australian warranty (Refurbished products excepted - 6 months). Autofocus Yes. Motor Type Linear Autofocus. Lens Hood Sigma. The minimum focus distance on this lens is 50.04 cm and its maximum magnification ratio is 1:7.2. A newly developed linear auto focus motor provides accurate ad quiet focusing which is ideal when shooting video. Sigma 70mm f/2.8 DG Macro Art Lens. LCF-49 III 49mm Lens Cap. LH708-01 Lens Hood. Trending at AU $747.69eBay determines this price through a machine-learned model of the product's sale prices within the last 90 days. 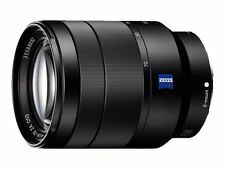 Sony Zeiss Vario-Tessar T FE 24-70mm f/4 ZA OSS Lens. - Zeiss T Anti-Reflective Coating. - Linear Autofocus Motor; Internal Focus. Original Sony Front Lens Cap. Original Sony Rear Lens Cap. Original Sony ALC-SH130 Lens Hood. Product Highlights E-Mount Lens/Full-Frame Format Aperture Range: f/3.5-6.3 to f/22-40 One ED Element; Five Aspherical Elements Linear Autofocus Motor; Internal Focus Optical SteadyShot Image Stabilization Dust and Moisture-Resistant Construction Seven-Blade Circular Diaphragm . So it's not unopened but we seal it in the original box. BRAND NEW SONY SAL50F18 Auto focus Lens DT 50mm F1.8 SAM. Condition is Brand New. Sent with Australia Post With tracking details. PRIME lens f1.8 suit Sony a mount. Unopened, unused, 100% NEW. (Sony SEL50F14Z). Check out the Sony Planar T FE 50mm F1.4 ZA Lens's Key Features. SSM (Super Sonic wave Motor) for fast, silent autofocus. The large aperture makes it easier to shoot in low light and can produce gorgeous bokeh. Nano AR Coating and Fluorine Coating. It also features a relatively compact size through the use of an f/4.5-5.6 maximum aperture range, and it is equipped with both a Direct Drive SSM autofocus system as Optical SteadyShot image stabilization for outstanding performance at all focal lengths. Glass mold aspherical lenses help minimize coma. In addition, the inner focusing system corrects the fluctuation of aberration to maintain image quality regardless of the focusing position. The optical design also allows the lens to be compact and lightweight. It features an all-new Â“stepping motorÂ” (STM) AF system that provides fast and super-quiet autofocusing, ideal for capturing video. 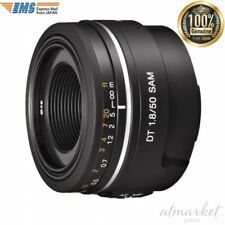 Canon EF-S 18-135mm f/3.5-5.6 IS STM (kit lens). Chromatic aberration reduced by using an UD lens and a PMo aspheric lens. Sony SEL2870 FE 28-70mm F3.5-5.6 OSS Ã Lens. Linear Autofocus Motor; Internal Focus. D-SLR Lens. Rear Lens Cap. Front Lens Cap. Bank deposit. Bank Deposit. Australian based warranties including both labour and part. Product Highlights E-Mount Lens/Full-Frame Format Aperture Range: f/2.8 to f/22 Three Double-Sided Aspherical Elements Zeiss T* Anti-Reflective Coating Linear Autofocus Motor; Internal Focus Minimum Focus Distance: 13.8" Dust and Moisture-Resistant Construction Seven-Blade Circular Diaphragm . Sony FE 28-70mm f/3.5-5.6 OSS Lens. - Linear Autofocus Motor; Internal Focus. Front Lens Cap. Rear Lens Cap. ALC-SH132 Petal-Shaped Lens Hood. 12 Months Warranty Included . Safe and secure. Trending at AU $367.63eBay determines this price through a machine-learned model of the product's sale prices within the last 90 days. Photos are of actual lens for sale. NEVER USED! I bought it for future shooting but later realised I don't need this lens that often in the future. Front Lens Cap. Rear Lens Cap. Lens Pouch. The 85mm f/1.4 has Sigma's HSM (Hyper Sonic Motor) which provides fast, accurate and quiet autofocusing. The exterior of this lens is EX-finished which translates to a superior build and optical quality, enhanced handling and appearance. 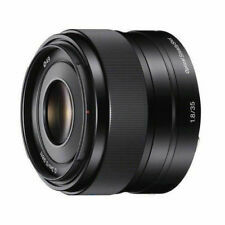 Sony SAL35F18 DT 35mm F/1.8 SAM Lens for Sony A-mount. Smooth Autofocus Motor (SAM) for smooth AF operation. Bright, wide aperture portrait lens. Helpful Links. Team with a genuine interest in the industry and gadget products. Sony E 35mm f/1.8 OSS Lens. 52.5mm (35mm Equivalent). D-SLR Lens. ALC-SH112 Lens Hood. ALC-F49S 49mm Front Lens Cap. ALC-R1EM Rear Lens Cap . Optical SteadyShot Image Stabilization. Australian based warranties including both labour and part. Product Highlights E-Mount Lens/Full-Frame Format Aperture Range: f/4 to f/22 One ED and Five Aspherical Elements Zeiss T* Anti-Reflective Coating Linear Autofocus Motor; Internal Focus Optical SteadyShot Image Stabilization Dust and Moisture-Resistant Construction Seven-Blade Circular Diaphragm .